Jo Malone has been described as an ‘English scent maverick’ and the woman responsible for creating some of the world’s most-loved fragrances. Originally a facial therapist, Jo fell in love with fragrance whilst working from her discreet skin care clinic which she set up from her London home. Discovering an instinctual talent for creating scented products by hand in her kitchen, word of her exceptional potions quickly spread and soon Jo was unable to keep up with demand. 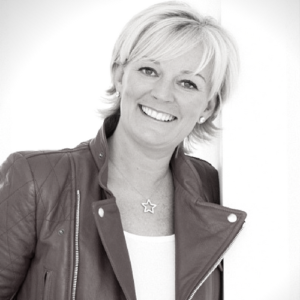 From these artisan beginnings Jo launched her first brand, Jo Malone London which gained cult status around the world. In 1999, Jo sold the business to Estée Lauder Companies and remained Creative Director until she left in 2006. Two years later in 2008, Jo was honoured with an MBE for her services to the beauty industry. Aware that her passion for fragrance never left her, it was falling in love with cooking that inspired Jo to play with food, flavours and colours that she had never used before. Being back in her kitchen, blending ingredients by hand and excited by the process, she soon realised that her instincts were prompting her to create fragrance and she found herself asking ‘could I do it again?’ Possessing an inherent entrepreneurial flair, a head full of ideas and the desire to build another business, Jo decided to follow her instincts and return to the beauty industry. In November 2011, five years after leaving Jo Malone London, she launched her new brand Jo Loves to global anticipation and in 2013, Jo opened the first Jo Loves store in Belgravia’s Elizabeth Street, where coincidentally she began her career as a sixteen year old florist. Bottling her undeniable desire to create beautiful and unexpected fragrances, pioneering new products and entertaining experiences, Jo Loves embodies integrity, creativity and innovation. Recognised for her industry expertise, Jo regularly shares her brand building experience with audiences around the world, highlighting her entrepreneurial journey and how she intends to change the way the world wears fragrance for a second time. She also contributes to consumer publications including her weekly business advice column ‘Ask Jo’ within London Evening Standard in addition to regular radio and TV appearances. Jo’s autobiography ‘My Story’ is published by Simon & Schuster.